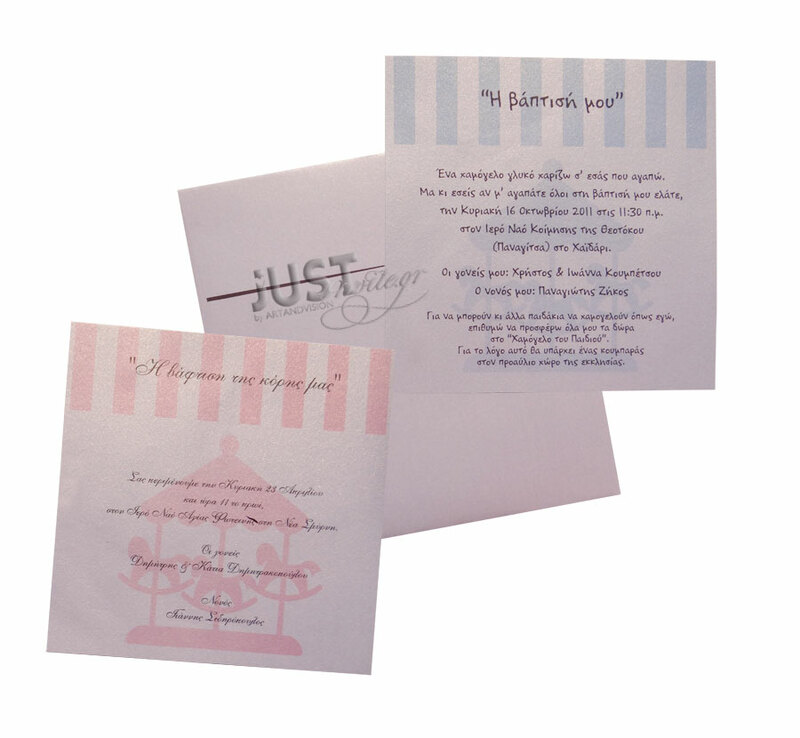 Greek Christening invitations carousel themed, for baby boy and baby girl, coming in a square striped board in blue-white colour or pink-white color and a carousel theme. The matching envelopes are square white pearlised paper and your personalized wording is printed in plain black colour. Size: 17 x 17 cm. https://www.preciousandpretty.com/2017/04/greek-baptism-invitations-carousel-for-boy-and-girl-C1122-C1123.html Greek Wedding Favors|Orthodox Crowns|Stefana|Baptism Invitations Greek baptism invitations carousel for boy and girl C1122 C1123 Carousel themed Greek Baptism invitations for boy and girl. Product #: Greek Wedding Favors|Orthodox Crowns|Stefana|Baptism Invitations_4675563001160340279 5 stars out of 5 reviews.